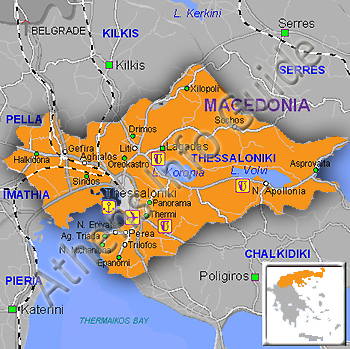 Macedonia is the largest and second most populous Greek region. Together with the regions of Thrace and sometimes Thessaly, it is often referred to informally as northern Greece. Its territory covers most of the region of ancient Macedon and most of the Kingdom of Macedon, famously ruled by Alexander the Great, who is the most famous Greek from the region of Macedonia. The name "Macedonia" was later applied to various areas in the Roman and Byzantine Empires with widely differing borders. By the 19th century, Macedonia had become defined as a distinct geographical, rather than political, region in the southern Balkans.